In honour of this Sunday’s moon eclipse, the sofubi gods ate Lulubell Toys are putting together a very special release. 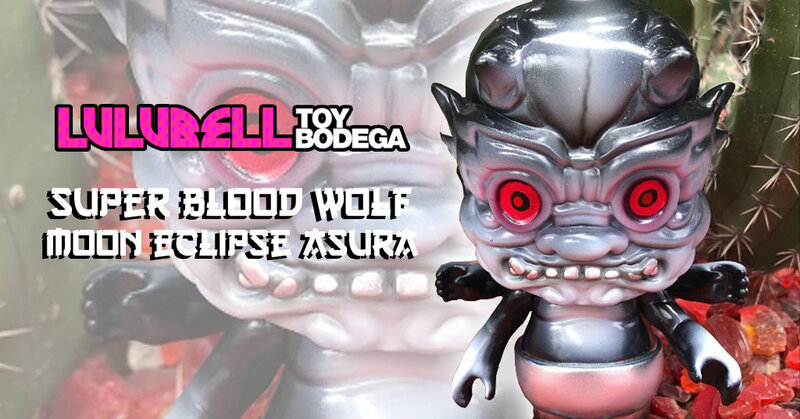 The Super Blood Wolf Moon Asura sofubi figure in collaboration with Ojo Studios/Joey 3D x Dski One (DevilS KaIju). On sale at @grandcanyontattooconvention, if not sold out at the convention the remaining pieces will go up for sale during the Eclipse this Sunday night, Jan 20th, at 9pm Pacific Time (5am Monday GMT) at www.lulubelltoys.com for $90usd a pop. Check out Lulubell Toys on Twitter, Facebook & Instagram.